QuickTec IT Support and Services provide to a wide variety of businesses ranging from Accountants, Solicitors, Doctors Surgeries, Manufacturing Plants, Medical Device, Waste Management, Construction,. Here are a few testimonials from our featured clients. QuickTec have been my “IT Department” for many years. I rely on them to provide reliable and responsive 24x7 Support for all our Computer requirements. QuickTec have provided for all I.T. needs for the past twenty years .They are a very professional company with staff who are professional well trained and discrete . Being a medical practice, response time to a problem is of paramount importance and we are very happy to say that Quicktec are excellent in this regard. Quicktec have been our IT suppliers for several years. I have always found them to be extremely efficient and diligent in all my dealings with them. I have no hesitation in recommending them. QuickTec have maintained our IT services for many years now and have always provided us with an extremely efficient, well managed high-end service. 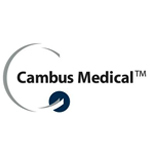 The customer care the provide on a day to day basis is exceptional from cost savings to system development. We have entrusted the management of our IT to QuickTec for the past 5 or so years. We have always found them helpful, courteous and immediately responsive in any IT related issues that have arisen for us over this time. They have also provided us hardware with very competitive pricing. We look forward to continuing our relationship with QuickTec into the foreseeable future. We have grown significantly over the last number of years, and QuickTec have been able to keep abreast of, and offer good advice on, all our IT needs. They have friendly and competent staff and provide us with an excellent Managed Services contract – effectively they are our IT Department! 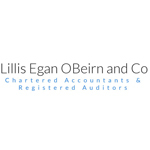 Partner, Lillis Egan O Beirn and Co Chartered Accountants. We have been a customer of QuickTec for almost 20 years and we find them easy to do business with, highly competent and responsive. We are very satisfied with the quality of the service provided and we believe it is good value for our firm.